Bikes and watches both require amazing craftsmanship and they are both items that have not been made at scale in this country in sometime, so Shinola is going to change that. Created for their booth at the Baselworld watch show in Switzerland where the watch brand will globally debut, this brass-plated, one-off Runwell will attract show goers. Also light up blogs like ours. Interested in the made-by-a-watch company bling? Today, Shinola launches their pre-sale campaign for watches and bikes at Shinola.com. 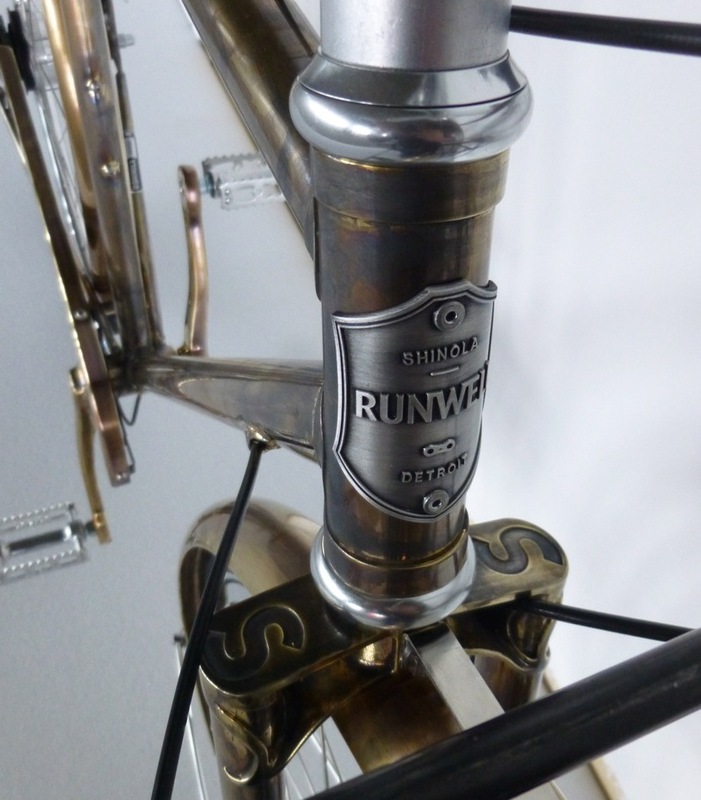 But you can’t buy the one-of with the vintage lamp, plated fenders, chain guard, and patina. Just the regular, high-end versions handbuilt in Detroit. 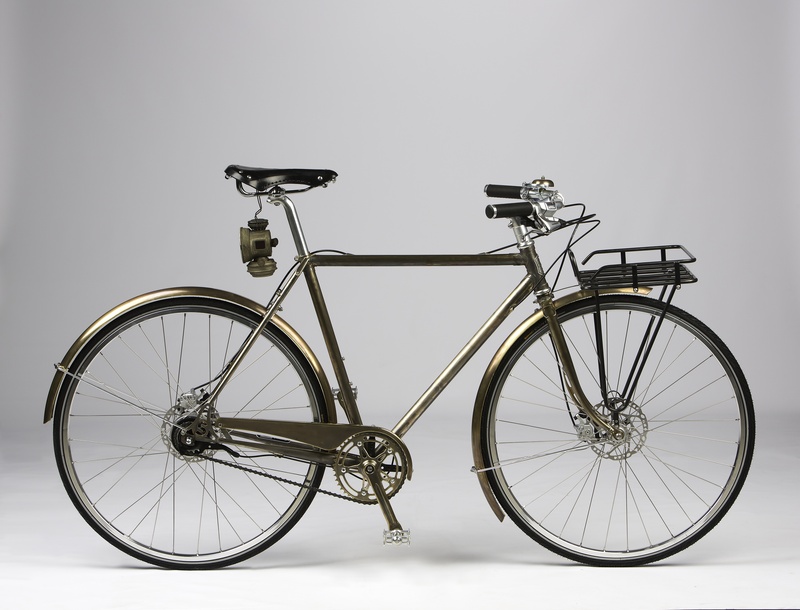 The bike was conceived by Shinola’s Creative Director Daniel Caudill and executed by Sky Yaeger (formerly of Bianchi and Swobo), as well as a team of builders at Shinola. 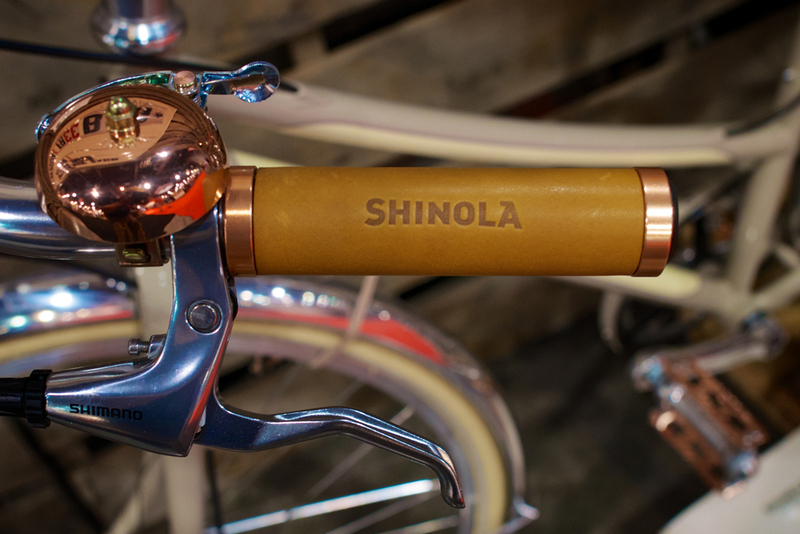 Last year, I included a Shinola in my Wired feature about Interbike. At the show in Vegas, they had a Runwell sitting outside of the Chrome booth. It was unremarkable in a convention of bikes, except for a nice bell and grip. The watch/bike connection may not seem like just a savvy marketing tactic, when you understand the coveted disposable income buyer, the one that keeps bike builders in business, also wants a unique city bike in their stable. It’s as brilliant as the patina on this bike. I do wonder now what they’re watches are like.